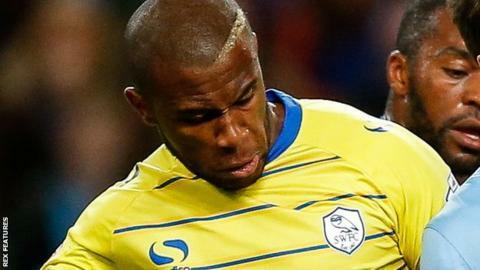 Sheffield Wednesday's French defender Claude Dielna has joined Slovak Super League side Slovan Bratislava on loan until the end of the season. Dielna, 28, has played 25 games for the Owls since signing as a free agent in August 2014, but his last appearance came in April last year. The former Lorient and Olympiakos centre-half has only been involved in one matchday squad this season. He has another season left on his three-year contract at Hillsborough.